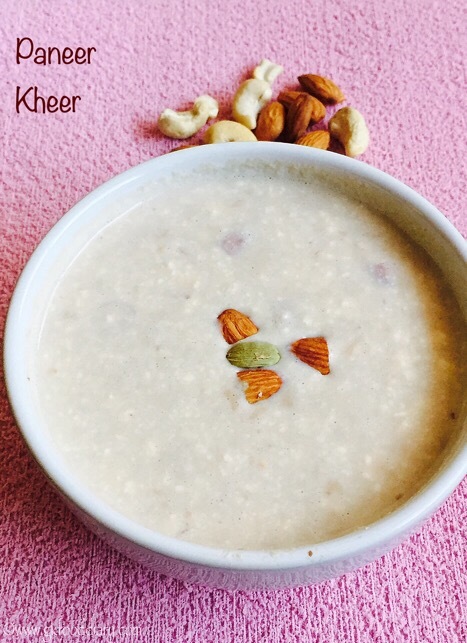 Paneer kheer – a simple and delicious pudding/kheer made with Indian cottage cheese or paneer. 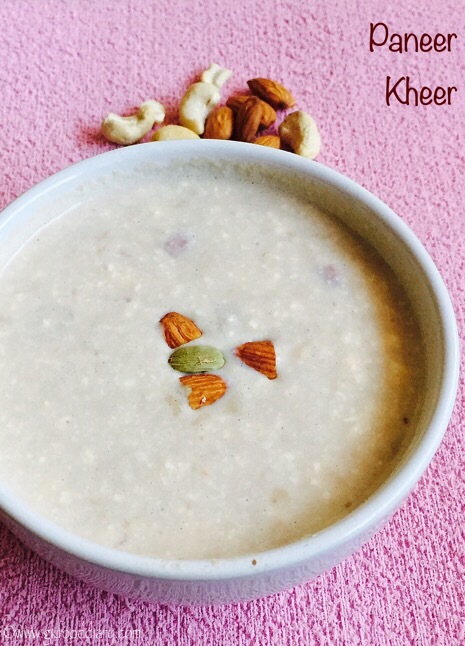 This paneer kheer can be given to babies from one year, make sure to use powdered nuts for small babies. I had this as a dessert in a house function and I loved it instantly, even the little one kept asking for more, when I inquired about the recipe, it was so simple but tastes unbelievably delicious. 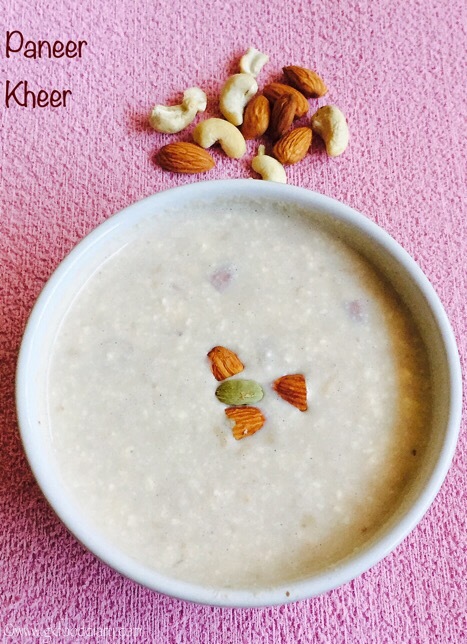 To me, it tastes somewhat similar to rasamalai 🙂 Do I have to tempt you more to try this kheer?! 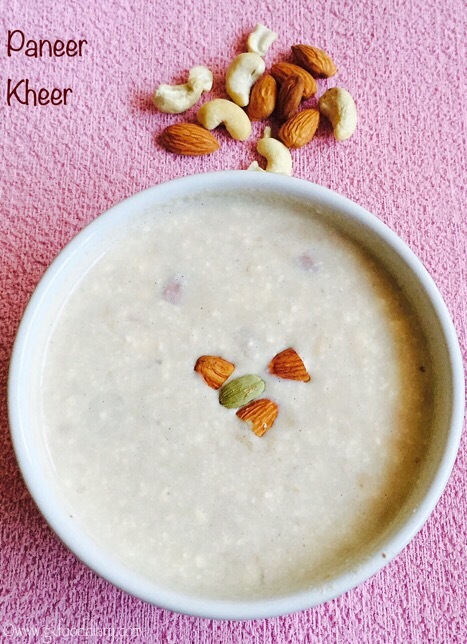 Without any further delay, let’s get on to check how to make this paneer kheer for toddlers and kids. Keep all the ingredients ready. 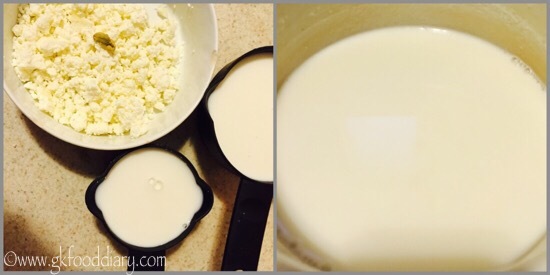 Crumble the paneer with your hands or use a pulse option in the mixie or blender to crumble it. Boil milk in low medium flame. When its about to rollling boil, simmer it for 10 minutes or until it's starts thickening. Add sugar now and mix it well until its completely dissolved. Then add the crumbled paneer to it. Mix well. Allow the milk to boil for another 5 to 7 minutes in low medium flame. Chop the nuts and keep it ready. Add cardamom powder and chopped nuts at the end, switch off their flame once done. 1. Keep all the ingredients ready. 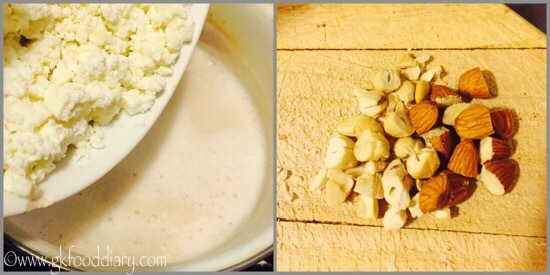 Crumble the paneer with your hands or use a pulse option in the mixie or blender to crumble it. 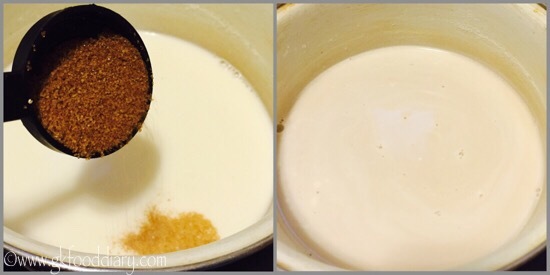 Boil milk in low medium flame. When its about to rolling boil, simmer it for 10 minutes or until it’s starts thickening. 2. Add sugar now and mix it well until its completely dissolved. 3. Then add the crumbled paneer to it. Mix well. Allow the milk to boil for another 5 to 7 minutes in low medium flame. Chop the nuts and keep it ready. 4. Add cardamom powder and chopped nuts at the end, switch off their flame once done. 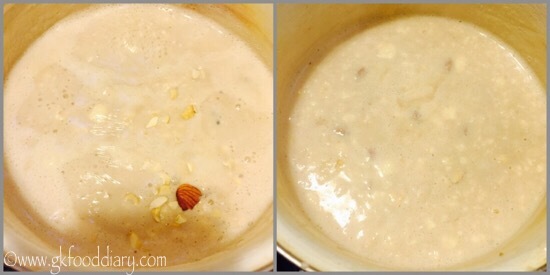 Yummy paneer kheer is ready ! Serve chilled after refrigerating or warm! I used homemade paneer to make this kheer. Add a pinch of saffron if you prefer the color of your kheer on the yellow side. You could also use white sugar instead of brown sugar/jaggery. 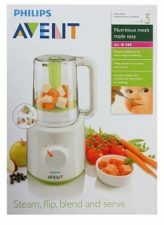 You can add dry fruits powder or almond powder instead of chopped nuts to small babies as they might lead to choking hazard.